The 63rd hosting of the Canada cup was held on Sunday the 8th of March 2015 at the beautiful Terrigal Haven on the Central Coast of New South Wales . It’s always scary when your organising a comp wondering what the weather is going to do on the day. With large swells and strong winds leading up to the comp the weather gods came through and produced a perfect day with flat seas and light winds all day. It certainly is a relief to the event organizers when the comp can be run as scheduled with fantastic conditions where it’s safe and enjoyable diving for every competitor. The comp saw 54 diver sign on to the event including 18 Juniors and one Lady which is great to see. Divers from all the major clubs were represented including the south coast which is a big effort as it is at least a 3 hour drive. Some of the Best comp divers in Australia turned up to the comp including Past winners Aaron Carey, Matt Poulton, Ian Puckerige, Jack Lavender and Aaron Puckeridge. 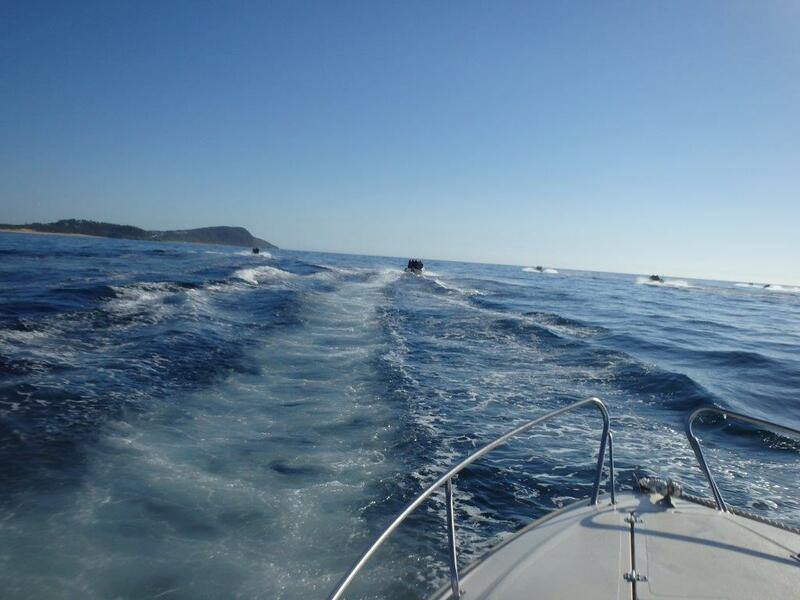 The boats started to arrive early in the morning as parking was at a premium in Terrigal Haven and because it was such a beautiful day every fisherman with his boat was also out. After a quick roll call at 8am the boats made their way through the Haven to the Starting point where the flag was dropped and the boats were off. If you have never witnessed the start of a spearing comp it is a sight to behold as spearos take great pride in owning a boat that can go fast to get to the dive sights quickly. The comp was no exception with over 20 boats taking off together all heading north to the offshore reefs it was an amazing sight. 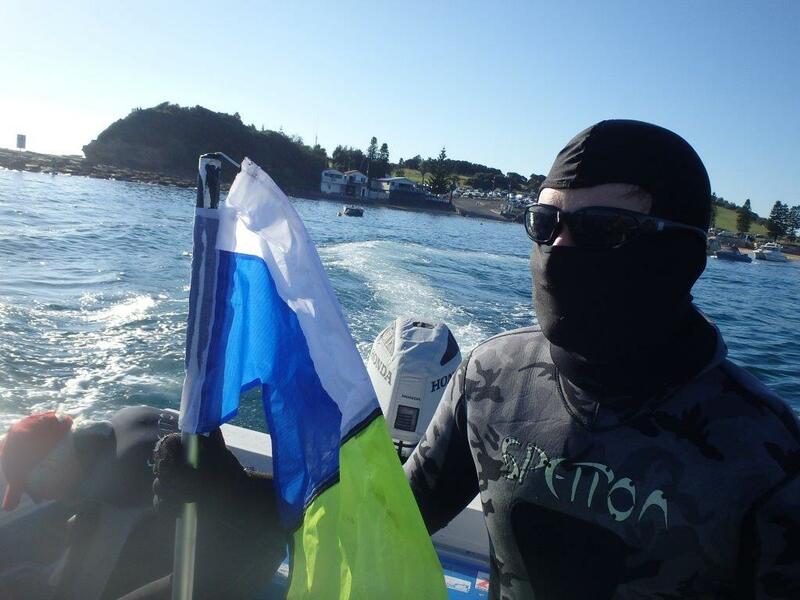 Although the seas were flat the visibility was not great with dirty water hugging the coastline with conditions slightly improving on the wider reefs. The water was warm around 24 degrees with the best visibility found on the 3 mile with around 15meters. Yellowtail kingfish were scarce on the day but bonito were swimming around in large schools everywhere and made a great capture. Was great to see every boat displaying a diver below flag on their boat and every diver towing a high visibility float with flag behind them. Some of the divers were also using the new diver below flag with high visibility yellow flag also attached kindly donated by NSW Maratime to USFA divers. The comp duration was 6 and a half hours with competitors due back in the ring by 2:30 pm. All but a few divers made it back within the time with divers lining up to weigh their fish. The temperature was now a scorching 33 degrees with everybody taking shelter in the shade of some nearby trees. 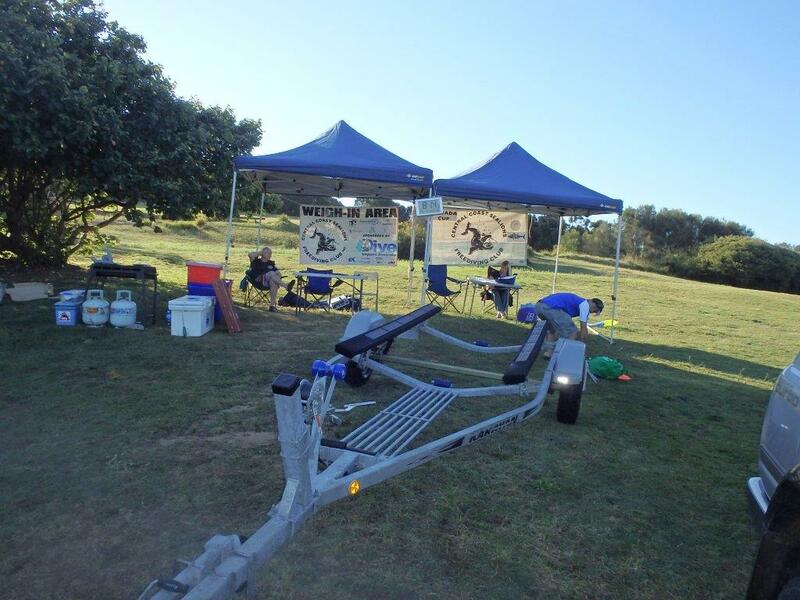 A BBQ feast was put on for the divers and plenty of cold drinks to rehydrate after a hard days diving. The presentation was held shortly after the comp with a huge list of prizes donated by Dive Imports Australia and Tuff Jackets. Various Cash prizes were also put up for grabs including $100 for the biggest bonito, biggest fish overall and biggest fish shot by a junior. First time winner was Derrick Cruz taking out the cup for 2015 with a great score followed closely by Aaron Carey and Ian Puckeridge. A big thanks to Lee Dalli for again helping out with the comp and to all the Sealions who chipped in during the day to make this another great comp. Next year we are planning another great event with an exciting sponsorship deal in the pipeline which means even bigger and better prizes. Stay tuned to the USFA website and facebook pages for regular updates.